ManufacturerCheck Point Software Technologies, LtdManufacturer Part NumberCPAP-SG5900-NGTP-HPP-VS10-SSD-2Manufacturer Website Addresshttp://www.checkpoint.comBrand NameCheck PointProduct Model5900Product Name5900 Next Generation Security Gateway For The Mid-Size EnterpriseMarketing InformationThe Check Point 5900 Next Generation Security Gateway combines the most comprehensive security protections to safeguard your mid-size enterprise. 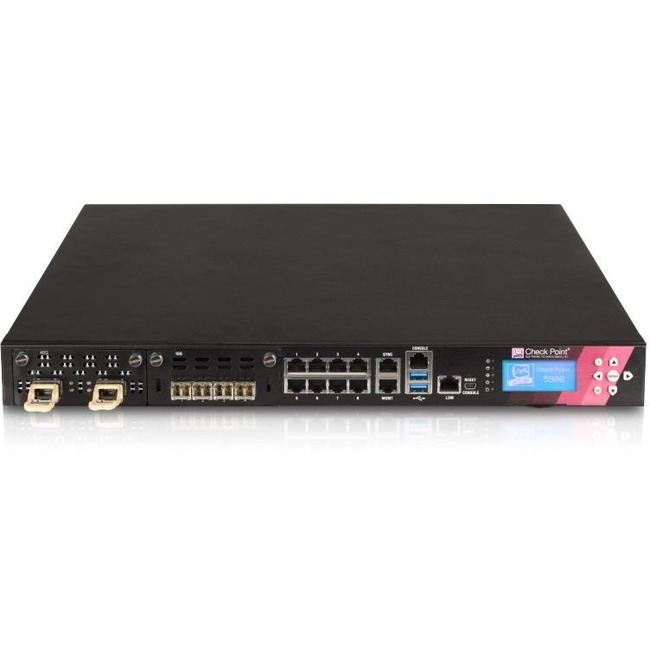 The 5900 is a 1U Next Generation Security Gateway with two I/O expansion slots for higher port capacity, redundant fans, redundant AC or DC power supply options, a 2 x 500GB (HDD) or 2x 480GB (SSD) drive array option, and Lights-Out Management (LOM) for remote management. This powerful Next Generation Security Gateway is optimized to deliver real-world threat prevention to secure your critical assets and environments.